We have a full line of cost effective commercial playground equipment. Rocky Mount is the epitome of creativity. Spend the day zipping down the colorful slides or shimmying through the tunnel slide. Come race down the Triple Slide with your friends or race against your best time on the fitness course! Conquer the Bubble Climbing Wall or take a break and take a swing on the swing set. This Playground area is complimented by a bench for supervision and is grounded by playground borders, ADA Ramp, and engineered wood surfacing. Are you looking to add some excitement and fitness challenge to your existing or new playground area? The Volcano Climber can help with that. As always, the safety of children is first and foremost in the design and manufacturing of our products. With that in mind, our products contain no phthalates or other toxic substances. 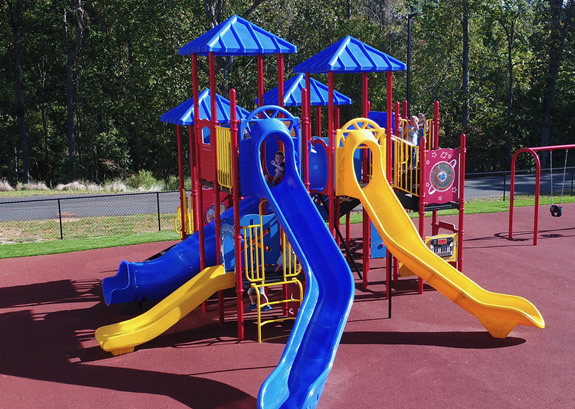 All Playground Packages products are engineered to meet or exceed CPSC and ASTM guidelines and standards. Playground Packages is your reliable source for quality playground equipment and playground installations. Playground Packages meets the highest standard of safety. Our main focus is on commercial projects for Schools, Churches, Parks, and Communities. We have been providing the southeast with quality playgrounds for over 10 years now. 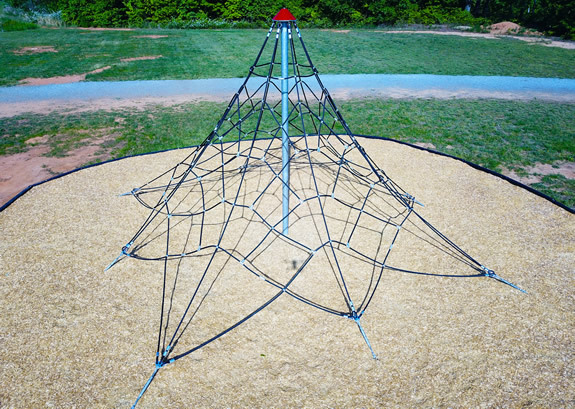 We have installed playground in North Carolina, South Carolina, Georgia, and Tennessee. Call For A Quote Today we have a great reputation for our service. Specifications, pricing, terms and conditions are subject to change without notice.